It may be tempting to regard the growth of Laurel and Allan Hill&apos;s business, Northwood Rings, as nothing less than remarkable. Moving to Nova Scotia from Ontario six years ago, they arrived in the province in 2013 with just $75 in their pockets and only the belongings they could pack into their car, including their two cats and a lathe. 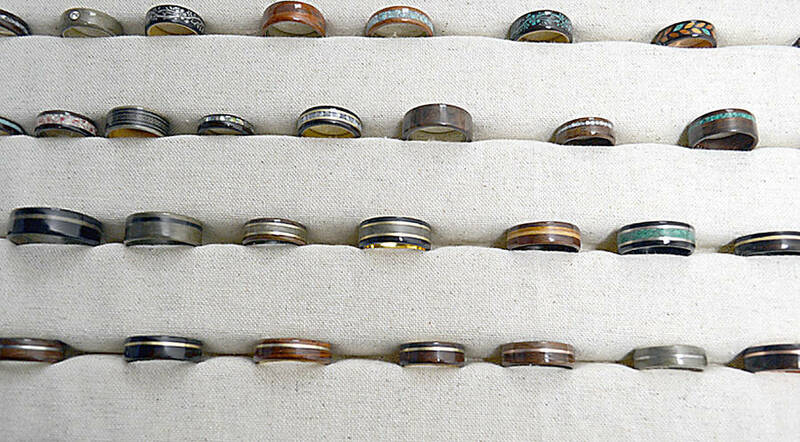 After initially selling one or two of their hand-crafted wooden rings for about US $80, originally producing them on a dining room table, they&apos;re now selling up to 200 rings a month to customers all over the world and for anywhere from about $220 to $2,000 each. They&apos;re running their business from a 2,500 sq. ft. production facility on Bridgewater&apos;s King Street, with two full-time workers, besides themselves. And they&apos;ve never had a formal business plan. Meanwhile, "home" is now a large captain&apos;s house in Bridgewater full of furniture. The young couple has clearly carved out a thriving, international wooden ring production and sales business, but while it might look like it from the outside, Laurel Hill is adamant, "It definitely was not an overnight success." And in addition to the steady if not rapid growth of a company that started on a whim, what is equally notable is that in a craft industry that typically survives on local shoppers and direct, face-to-face retailing at farmers markets and craft fairs, Northwood Rings&apos;s growth has been achieved almost entirely from online sales to markets as far-flung as Australia and Singapore. "Yeah, it&apos;s been quite the ride for us," Laurel commented to LighthouseNOW. Both had been working as night auditors in the hotel industry in southern Ontario. Laurel developed a health issue, including an allergic reaction to her metal wedding ring. Having grown up on a farm called A Lot of Little Oaks, in 2011 she decided a wooden ring would hold meaning for her while being more bearable to wear. Allan set out to make her one, first carving a ring from an oak block. He made about 50 additional attempts until he created one that met a quality that satisfied him. At the same time, he also had a side business roasting and selling coffee. A customer spotted Laurel&apos;s ring, and soon others were asking about it. One customer told them he worked with electricity and hadn&apos;t been able to wear a wedding band for a long time. "And it was just kind of from there, where we went, 'We can actually do this. We can help people by making rings that they can wear," recalls Laurel. They set up a "shop" on the online vintage and craft e-commerce site, Etsy, and within about 48 hours they made their first sale - an ebony and turquoise ring. "We were so excited," recalls Laurel. Allan began producing rings while maintaining his job as a night auditor at the hotel and continuing with the coffee cart sales. "We figured out a technique of steam bending a long strip of wood, and wrapping that around a bunch of times, and that made for a much more solid ring," he explains. With his other responsibilities, the working hours were adding up. "He was just so exhausted. And I said, 'let&apos;s just make it work,&apos;" Laurel recounts, referring to the developing ring business. Laurel had had to leave her job earlier because of her health, and Allan gave his notice to the hotel the following day. Had they continued at their normal jobs, suggests Laurel, Northwood Rings, "probably never would have gotten off the ground." Word continued to spread about the rings, and Big Brothers and Big Sisters asked for some they might auction off during fundraisers. Since they were no longer tied to regular jobs, eventually the couple decided to act on Laurel&apos;s long-felt dream of moving to Nova Scotia in 2013, taking only what they could fit in their car. They initially continued to work on their ring business from a rented winterized cottage near Antigonish, and Laurel hired an American search engine optimization (SEO) specialist online. "He was asking like $1,500, which seemed insurmountable. But we found it, and that just really jump-started our business," says Laurel. The contract worker was able to ensure they were listed in Google searches, although there was little competition at the time in any case. They began making sales in the U.S., and eventually moved to the South Shore, setting up shop in their kitchen of a rented home in Mahone Bay. "It&apos;s just beautiful on the South Shore, right? And it&apos;s very artistic," explains Laurel. While she says they still feel a bit like outsiders sometimes, because they&apos;ve been tucked away working so much of their time, nonetheless they feel like they fit in with "the ideals" of the area. "It went from a very slow business overnight to all of a sudden we were trying to keep up with it," she reports. By Christmas time, Allan was working until 5:00 a.m. just to get the holiday orders out. They knew they needed help, but they had never hired anyone before. "We didn&apos;t see ourselves as bosses. You know, that was a whole new section," admits Laurel. They found an accountant in Chester, "who really helped us get our stuff together." They initially hired a part-time worker to help Allan making rings. "And from there it just kind of bloomed, from needing two workers and then three." 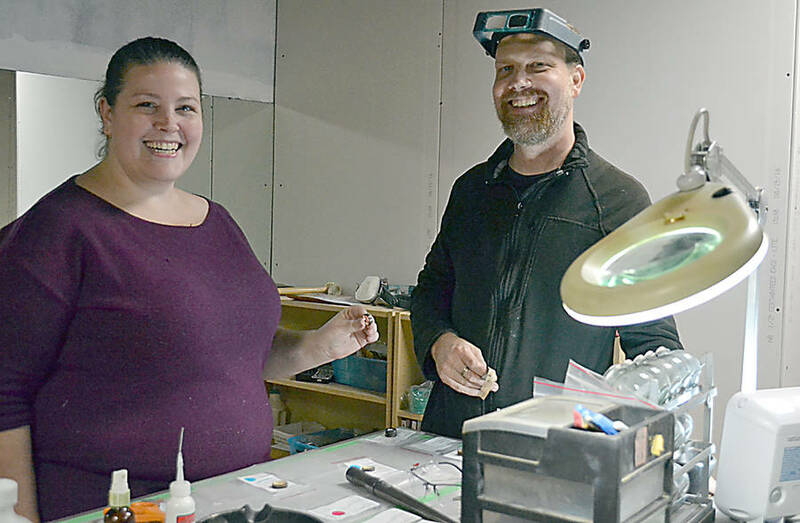 Tired of working out of their home, they secured a one-room workshop area in the former Canada Post building in Lunenburg. They 2,500 sq. ft. commercial space in Bridgewater they&apos;re now renting is being renovated to accommodate the different components of their business, such as production and sales. They promote the fact they only use sustainably-produced wood, such as farmed Hawaiian golden Koa, Macassar Ebony Pau Ferro - otherwise known as Santos Rosewood - and maple. The gemstones, including the emerald in Laurel&apos;s ring, and moissanites are all produced in a lab. Although they can also use a Canadian-sourced diamond if someone prefers. 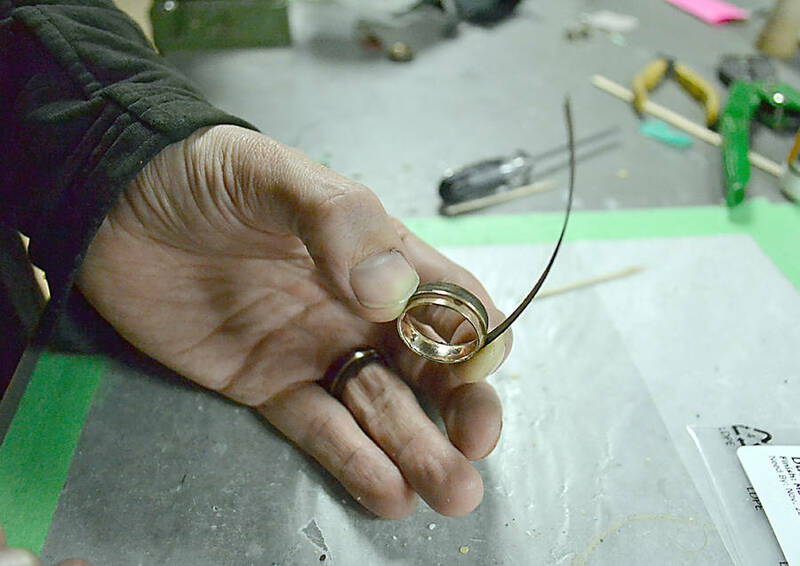 Allan has taken a course in jewelry casting and stone setting in California, while Laurel has taken a computer- assisted design course in Ontario, allowing them to also offer a custom-design service. With online, international sales brisk, they have little intention of plying their trade at the local farmers markets and craft fairs. "Especially at the price-point that we sell them now, " explains Allan. "Not many people would be pulling out their credit card for that." Rather than direct retail sales, they envisage expanding into the wholesale arena beginning next year. Competition has grown and is "just part of the process," according to Allan. "The only thing that we can do is take control and make our product that much better." Meanwhile, although they&apos;ve since managed to invest about $150,000 in the company so far, they still don&apos;t have a formal business plan, nor even business cards. "It&apos;s always been on our to-do list." says Laurel, laughing. "We&apos;ve kept ourselves pretty busy."